ICU baby was honored to be included in Temple Beth Sholom’s 2017 Mitzvah Day. 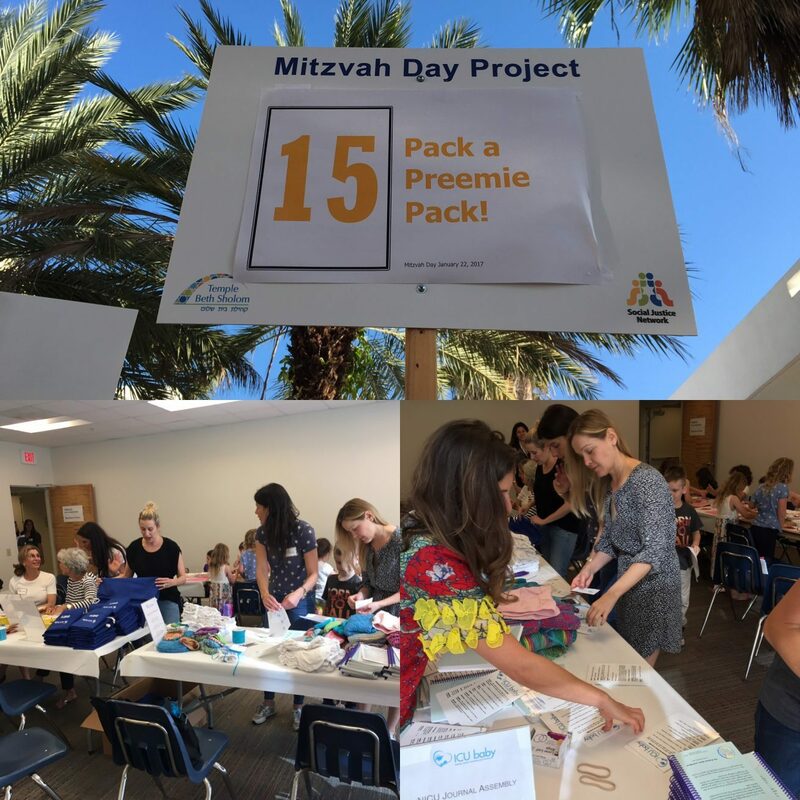 Led by Mitzvah Team Captains Katie Nullman and Lori Spodak, members of the Temple’s community assembled to pack ICU baby’s Preemie Packs for South Miami Hospital. The children who participated contributed in their own way by making hearts for the NICU babies so that their families could use them to decorate the baby’s isolette or hospital room — another way to let a NICU family know that members of the community support them during their difficult time. It was an inspiring morning to see even our communities littlest ones coming together to support our local NICU babies and their families.